While I was really hoping that the Phillies bats would show up in Atlanta last night, it seems my wish was mistranslated by the universe. Bats did show up…but not the baseball kind. The game was delayed twice last night. The start of the game was delayed nearly 2-hours due to rain; the second delay came during the game and was caused by a couple of bats getting busy on the field. 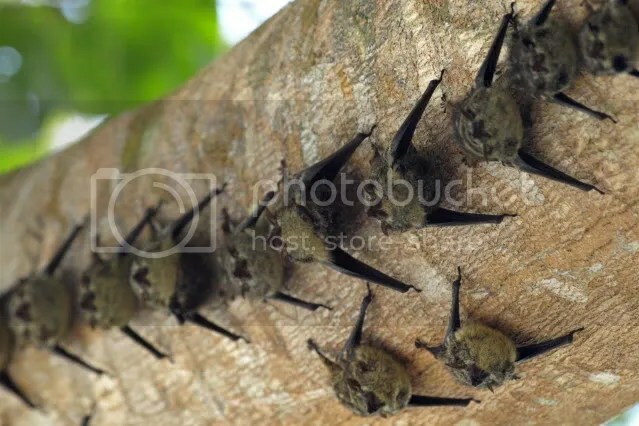 Real bats, with wings and all that. After being man/glove-handled by Braves third baseman Paul Janish, the love-struck bats finally detached and one flew away. The second bat was transferred to the aptly-named Batboy, who fulfilled his job duties on multiple levels during this game. Looks like those bats picked the wrong place to host their little rendezvous. I do hope they were reunited later in the evening. 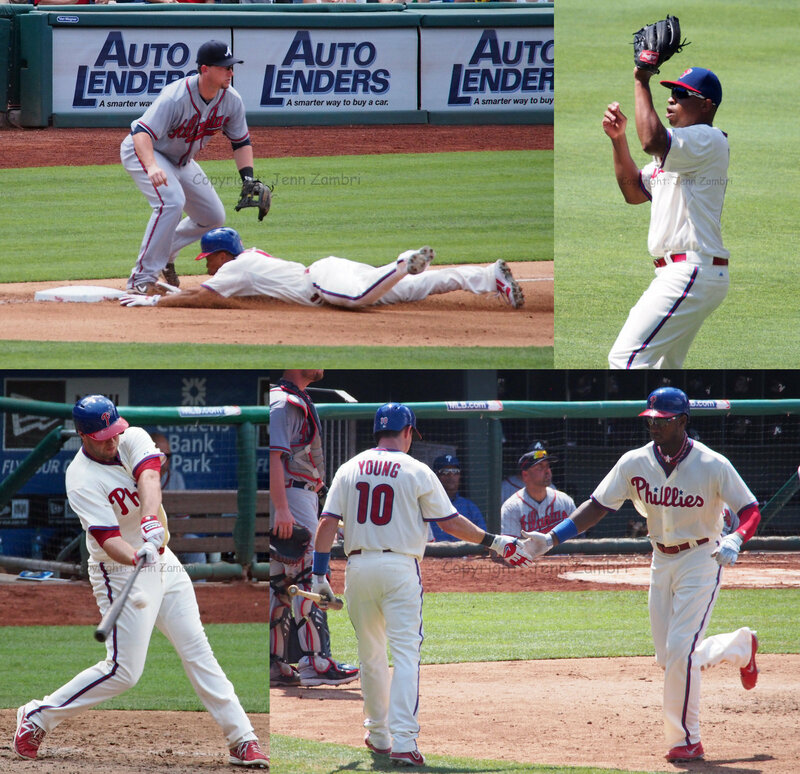 As for the games, the Braves bats won out, beating the Phillies by a score of 3-6. John Lannan lasted only 1.1 innings, allowing 5 runs and left the game due to a knee injury. 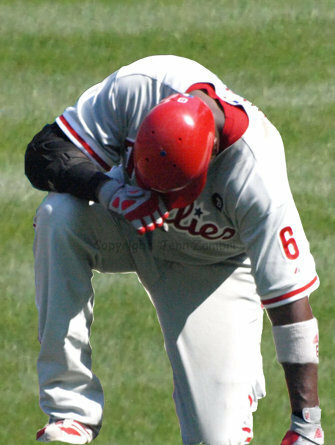 He is likely done for the season and has also probably worn a Phillies uniform for the last time. This is the same knee that landed him on the DL for 2 months earlier this year; the Phillies cannot possibly resign him if he is hurt again. Then again, they have done dumber things; but I will give them the benefit of the doubt here…for now. The Dodgers come to town on Friday…game time is 7:05pm. 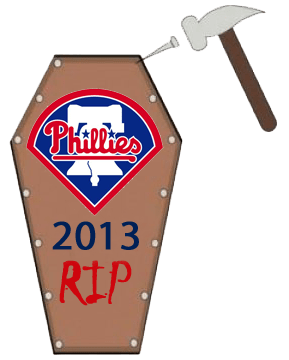 Visions of pitcher John Lannan must have haunted the National’s dream last night after he held them scoreless for 8 innings in a Phillies 3-2 win. It was Lannan’s best outing of the year and the first time since 2009 that he made it through 8 innings. Lannan completely dominated his former team, which had to be the cherry on the sundae for him. Lannan had some help last night as well. 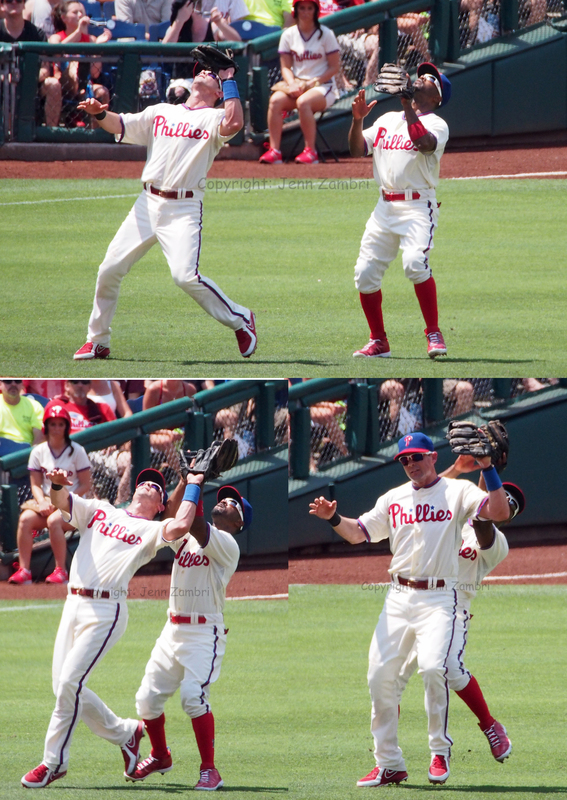 Ben Revere had 3 hits and scored twice, while showing off his acrobatic moves. 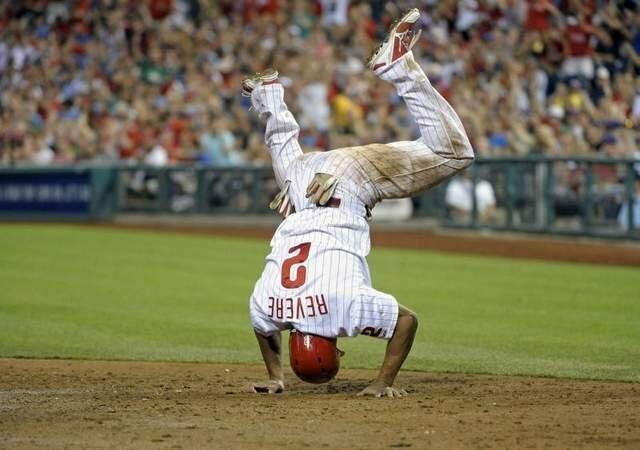 After sliding hard into home plate in the 6th inning, Revere lost his balance and flipped over onto to his head. He turned the handstand into a full gymnastics flip, which announcer Gary “Sarge” Matthews termed an “upsie-do,” thus coining yet another Sarge-ism. 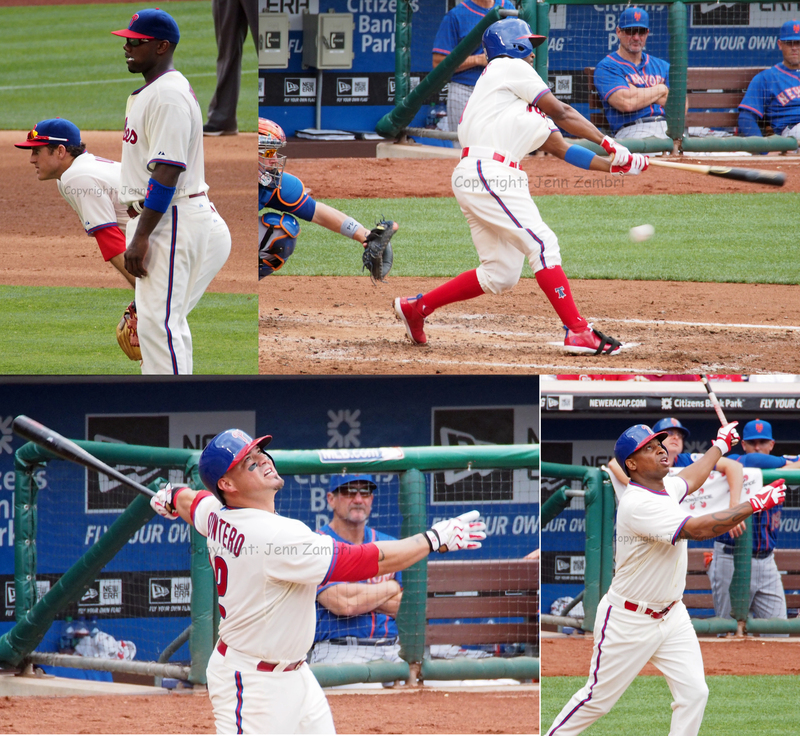 I said before the season began that Revere was going to surprise everyone, countering the naysayers about the trade. I had hoped the surprise would come sooner than it did, but here we are and Revere has been outstanding for the past 2 months. He is batting .300, stealing bases, getting extra base hits and scoring…a lot. Not to mention that little Ben is cute as a button. He is like an adorable, yet slightly spastic, little puppy dog, bouncing around to win your attention. I seriously want to pat him on his head and feed him a milk bone. Puppy’s aside, this team is not out of the woods yet. The bullpen remains a serious issue. Even Jonathan Papelbon nearly blew a 3-run lead last night. 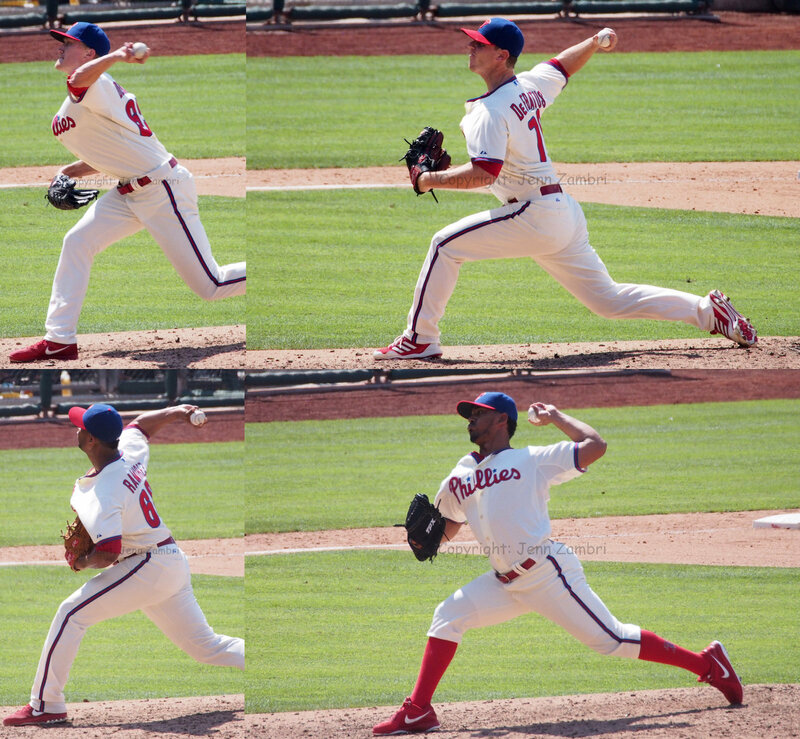 His outings are beginning to conjure memories of past Phillies closers who, aside from Brad Lidge in 2008, were frustrating fans with every pitch. 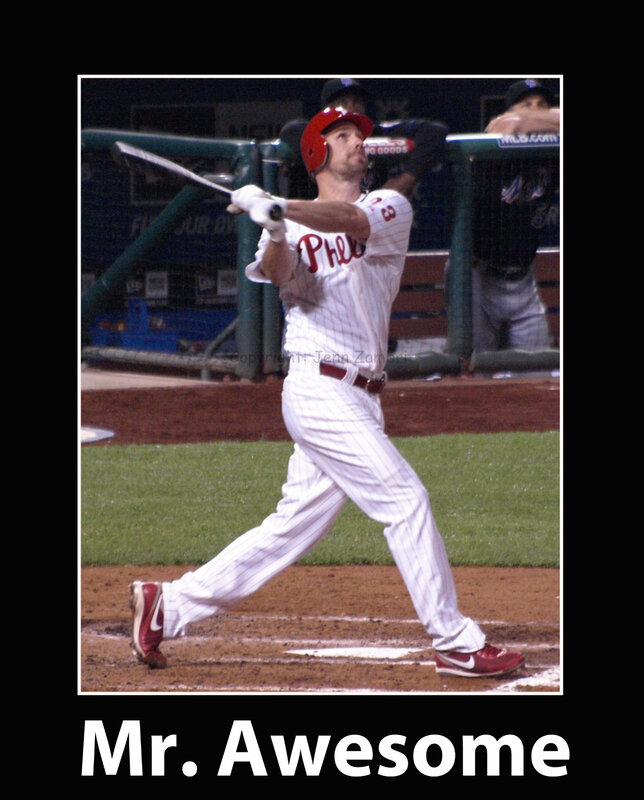 Let us hope the Phillies do not need to use him for at least a game or two. Cole Hamels will pitch tonight; game time is 7:05pm.